– Start menu has been rebuilt from ground up. It no longer uses code present in explorer; but! No features were lost and actually has been improved with new features and many fixes for bugs present in original menu code. StartIsBack+ uses LESS resources than native menu! – StartIsBack+ is better suited for tablets and convertibles. 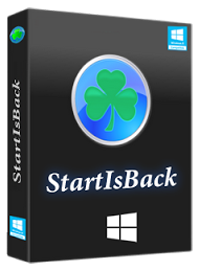 – StartIsBack+ settings for start menu are now stored in ..\StartIsBack registry key, not in …\Explorer\Advanced. Existing settings are migrated. Fully translated: English, Russian, Brazilian Portuguese, European Portuguese, French, Danish, Greek, Italian, Turkish, Spanish, German, Polish, Czech, Croatian, Slovak, Finnish, Korean, Dutch, Norwegian, Serbian, Slovenian, Bangla, Hungarian, Swedish, Simplified Chinese, Indonesian, Arabic, Thai, Traditional Chinese, Farsi, Ukrainian, Lithuanian, Bulgarian, Latvian. 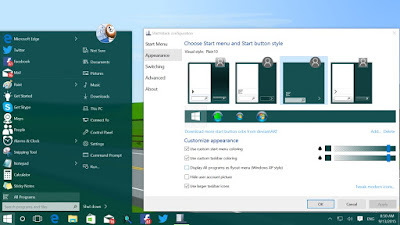 0 Response to "StartIsBack terbaru Oktober 2018, versi ++ 2.7.2 Win10 | + 1.7.6 Wind 8.1 | 2.1.2 Win 8"